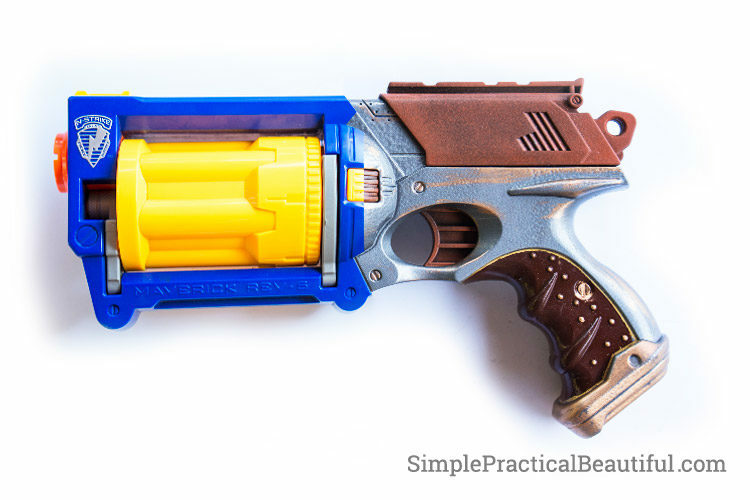 Turn a plastic Nerf dart gun into a steampunk blaster. 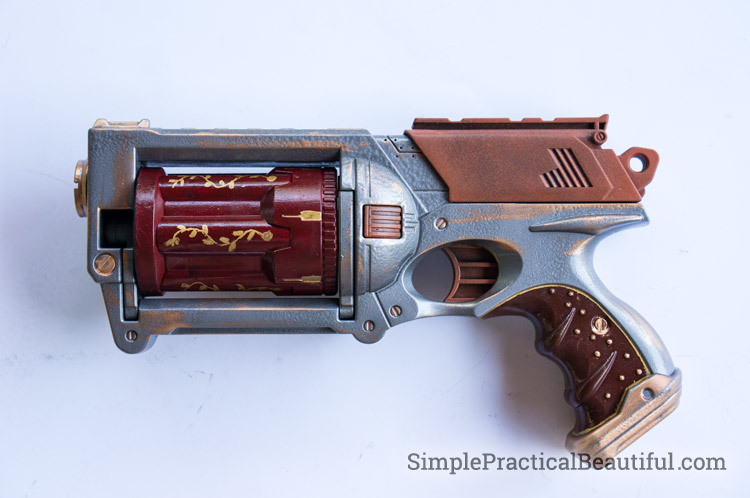 It’s easy to make a steampunk gun with just a little paints and some details. For my birthday this year, my husband gave me two awesome birthday presents. 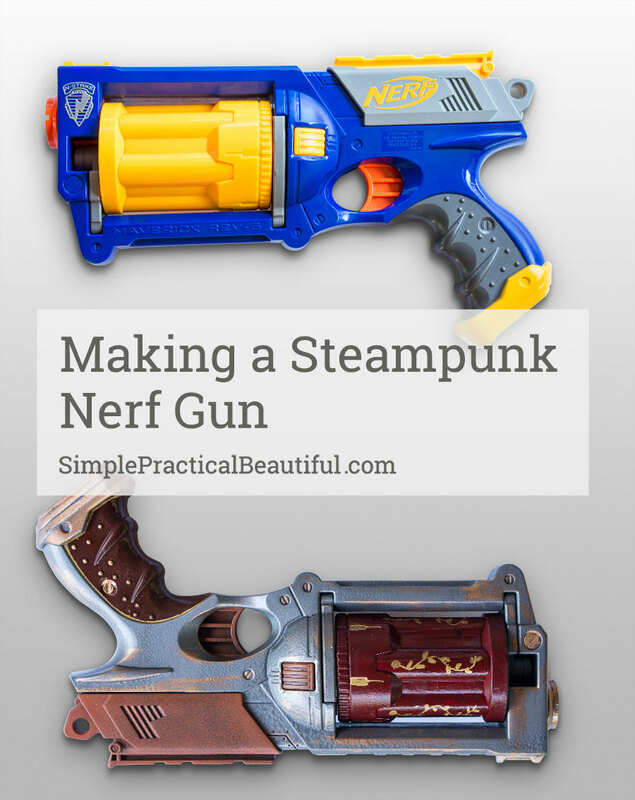 First, he gave me a Nerf dart gun turned into a steampunk accessory because I love all things steampunk. And second, he wrote a blog post about how he did it. So I get to share my birthday gift with you. 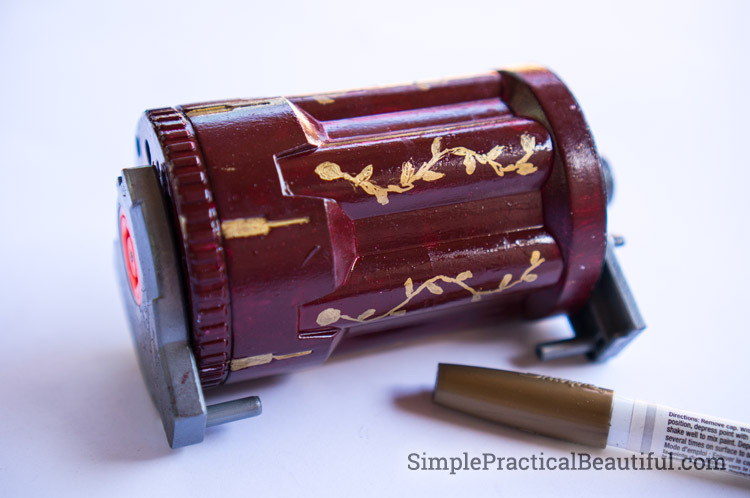 In his own words, here’s how my husband, Wayne, made my steampunk blaster. 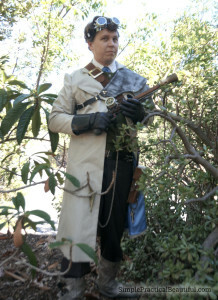 Two years ago Rebecca and I created steampunk costumes for Halloween (Check out our Lady’s Steampunk and Gentleman’s Steampunk Costume posts). 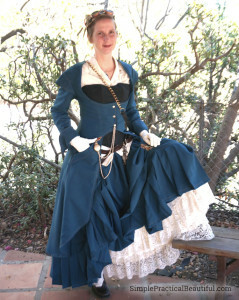 On Halloween night as we were trick or treating Rebecca lost a small squirt gun that she had painted to be steampunk. It was a bummer. So when a friend of mine was getting rid of a Nerf dart gun, I decided I would make Rebecca a new steampunk gun for her costume. 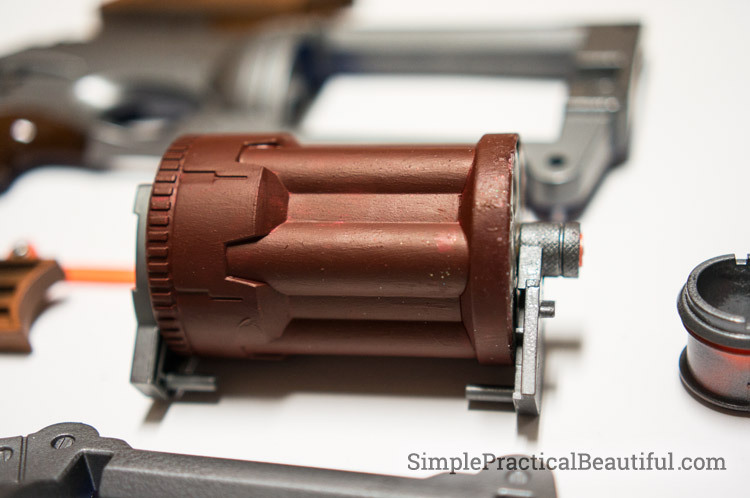 Here are the steps I did to convert this nerf dart gun into a steampunk blaster. 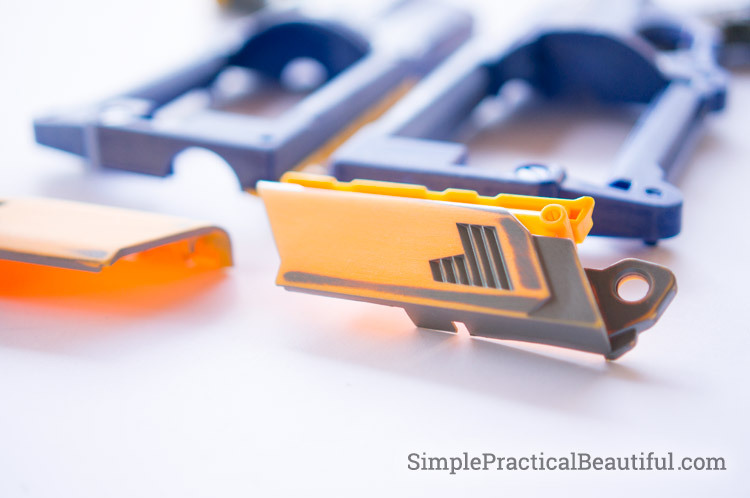 Remove all the screws and carefully open up the top piece of the gun. Remove each piece making sure you know where the screws and springs go. I would strongly suggest taking a quick picture with your phone so you can refer back to it when you put the gun back together. 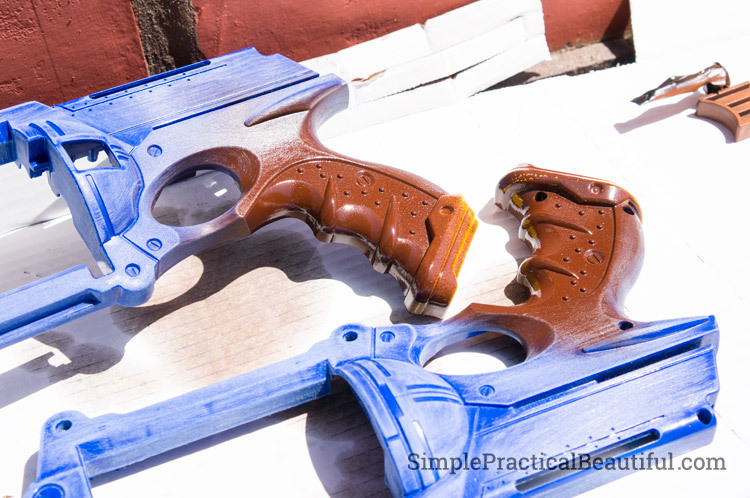 Sand off all the extra bumps or logos you don’t want on your final steampunk gun. 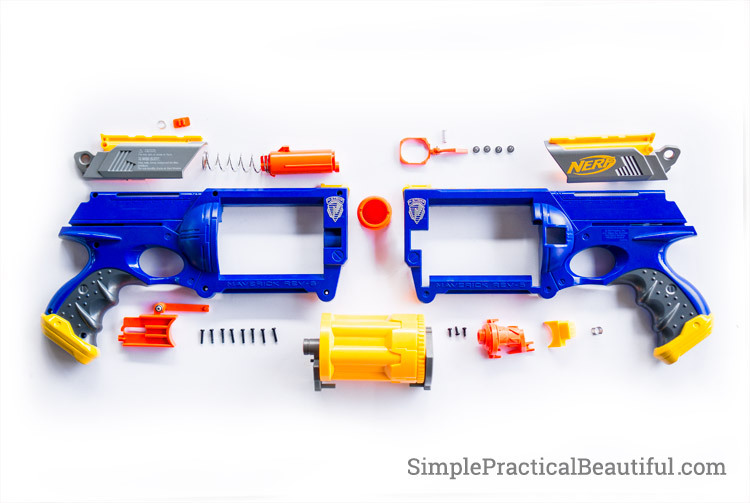 I sanded off the Nerf logo, the name of the gun and some legal copy. 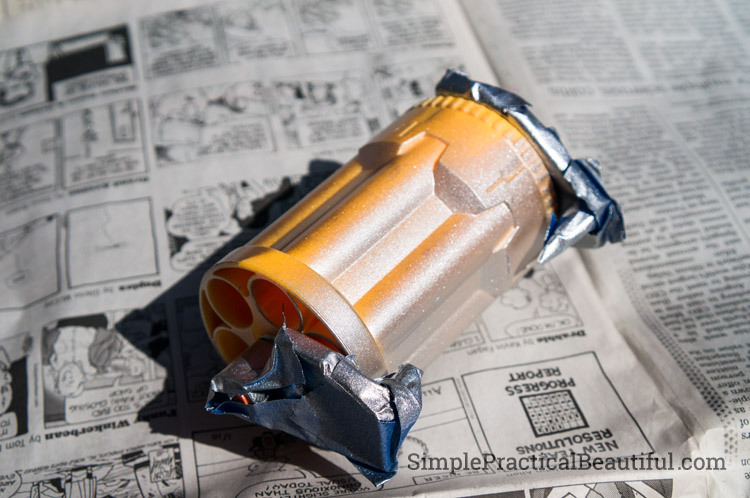 Start by using a lower grit sandpaper and step it up still you get to a finishing sandpaper. 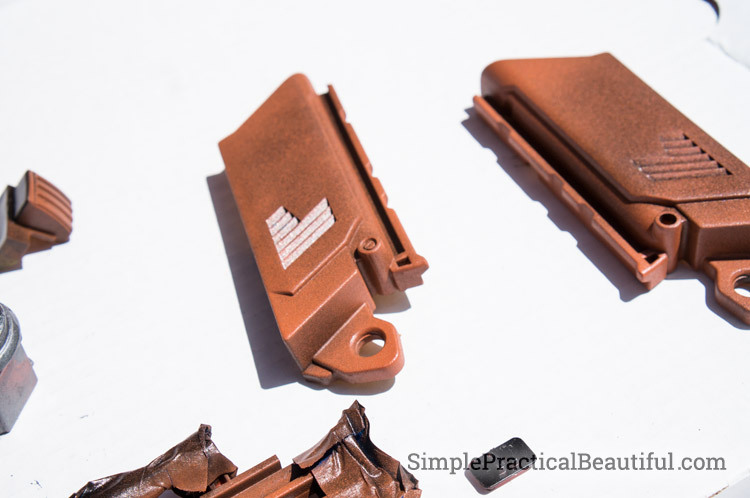 This will prevent your gun from having a lot of big scratches. I also sanded the rest of the gun to make everything more warn. I started by panting the handle brown. I didn’t worry too much about over-spray because I knew I was going to paint a base color on top of the gun. I decided that I wanted some of the detail elements to look old and rusted, so I painted them with a base coat of black. I then lightly sprayed a rust color on top of it. 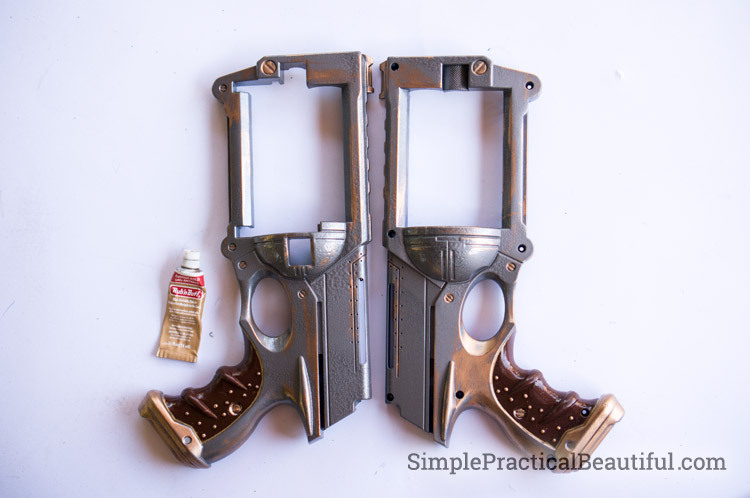 Since the cocking mechanism for the gun was spit into two parts I loosely put them together before painting so that they felt like a single piece once put back together. Next I taped the brown handle I already had painted and sprayed the rest of the gun a hammered metal. I was really happy how this effect came out adding a little additional texture to the larger spaces. 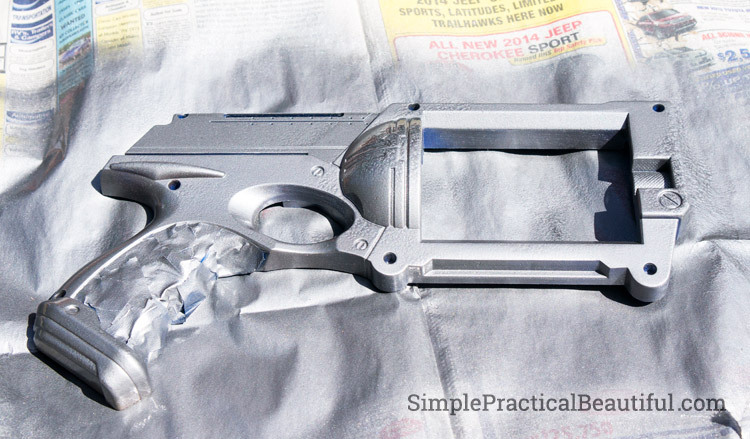 I started by taping the revolver portion of the gun and spraying a silver. After applying the paint I was’t happy with the way it turned out. The gun felt like it had too many metal colors and I wanted to add something red. I was using an acrylic paint so it took a few layers to cover the silver and it gave a very matte finish. It still didn’t feel right so I added a clear gloss coating on top which richened up the red. Then using a gold Sharpie I drew on some details. Like Rebecca, I like Rub n’ Buff wax finish. It is very easy to apply and it gives a very cool effect. I wanted to give my gun a worn feeling like the plated-silver was rubbing off from too much use. So I rubbed the rub ’n buff on areas that would get a lot of natural rubbing or hand holding. It really accentuates the details and the textures. It is best to rub the gun when it’s together so it feels like one piece. After everything was painted I put the parts back together. I referred to my picture on my phone to make sure the springs and screws were all in the right place. This step was difficult and I actually had to take the gun apart 2 or 3 times to finally get it to function better. Over all this was a very easy project and created a very cool result.